Adaptations that emerge from Stephen King source material are either a hit or a miss. We had IT in 2017 that succeeded in making us fear clowns for the rest of our lives, and The Green Mile was effective in exploring a different kind of horror, less supernatural and more man-made. Though an argument could be made that Pennywise is a mere representation of the other truly messed-up things that occur in the lives of our main characters. Then we have the duds like The Dark Tower and Carrie (the remake), which just comes across as lackluster despite the notable actors attached to these projects. Pet Sematary falls in the middle of the hit or miss spectrum, where it does hit some of the horror buttons but misses completely in other ways. 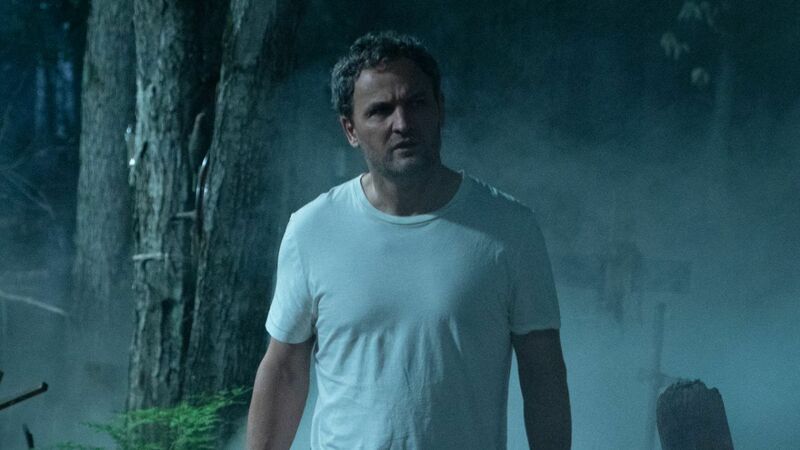 While King himself has lauded Pet Sematary to be his most horrifying work to date, the movie doesn’t seem to reflect that. Instead we end up with a movie that is aggressively mediocre. I left the cinema with a lighthearted skip and a desire to eat (normal food, not human flesh or anything), which demonstrates how unaffected I was by the movie. A good horror movie can linger for days in my mind, the fuel for nightmares and sleepless nights. I slept like a baby after my viewing of Pet Sematary, and here are the reasons why. 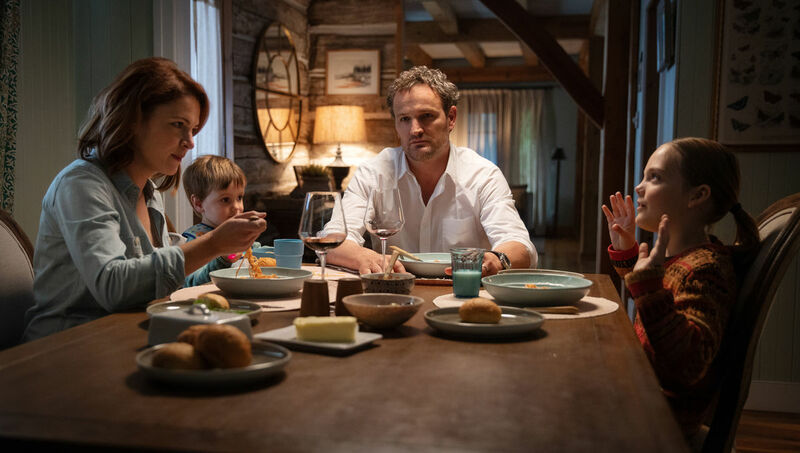 Dr. Louis Creed (Jason Clarke) and his wife, Rachel (Amy Seimetz), relocate from Boston to rural Maine with their two young children. 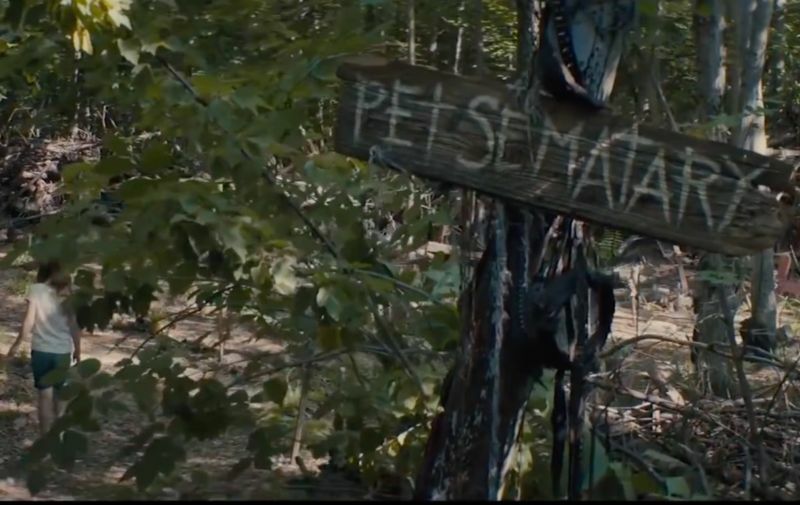 Upon arriving at their new home, they discover a pet cemetery in the vicinity of said home, spelled ‘pet sematary’ because the sign was made by children. After their cat is killed from being run over by a truck, a regular burial trip turns into a never-ending nightmare, proving that sometimes, dead is better. What you may not know is that we are experiencing what has been termed the ‘King Renaissance’. With the advances in technology and filmmaking, directors and producers can now adapt King in a way that pays proper homage to his work, with the make-up and visual effects adding to the immersion rather than taking away from it. The producer Mark Vahradian spoke the years spent getting the project moving, mostly due to the difficulty in finding a suitable location for the setting of the movie. They considered places like New Zealand, Connecticut and New Orleans, finally settling on Montreal. The directors are huge Stephen King fans, which is why they were selected for the project. There are some Stephen King easter eggs in the movie for die-hard fans to spot, one such reference being Cujo. Consider yourself a rabid Stephen King fan? Let’s see how many you can spy with your little eye. All we know about the characters are the roles they play in the family. We have the father, who is a doctor. The mom who takes care of the kids, and the kids who are cheerful and cute. I could not give you any more details about them because I just don’t know. It is like the movie couldn’t wait to get to the horror parts, so it just skipped through all the necessary characterization needed for us to actually feel for the plight of these characters. The actors are striving to do their best, but it is hard to do a lot when the script and direction isn’t helping you along. The only actor of the lot that managed to shine a smidge more than the rest is Amy Seimetz as Rachel Creed. She is very effective as the distraught mother with personal demons of her own. The subplot of her past with her sister Zelda, who has spinal meningitis, is the most horrifying aspect of the movie for me. It made sense to me that Rachel, especially since she was a child, would be absolutely terrified of Zelda’s condition. It might not have been as grotesque as she remembers, but we can understand how a child would hyperbolize the condition. Rachel feels a lot of guilt with regard to Zelda’s death, thinking herself to be personally responsible for causing her sister’s demise. The scenes of her slipping back into the past, remembering how her sister looked in bed, the way she died, these are the scenes that stand out the most in the film. Real plausible horrors are always more horrifying for me that any supernatural aspect. In the original 1989 film, to display the grotesqueness of Zelda’s body, the person who played her was actually a man in a wig. I am glad that the advances in technology have allowed this recent adaptation to have a woman as Zelda and still achieve the same effect. Rachel and Louis have different viewpoints on death. Rachel tells Ellie that death is merely a gateway to a better place like heaven, though Louis feels differently. We wonder if Rachel believes in heaven because of the part she feels she played in her sister’s death. When Church the cat is found dead, Rachel wants Ellie protected from the idea of death. Louis goes along with it, even if he believes otherwise. They tell their daughter that Church ran away, so when the cat shows up again, she isn’t too perturbed by it. This brings us to the question of, how far would we as parents go in order to protect our children? Yes, Ellie may not need to know about death just yet, but choosing to tell her the cat ran away would not allow her to grieve. Grieving is essential in the act of acceptance. We grieve, we accept the death, and we move on. Ellie is sad about the cat running away, but now, because she doesn’t know it is actually dead, she would still hold onto the hope that it could come back. This is where the whole reanimation aspect comes into play. Rachel allows herself to grieve and accepts the death of their child, while Louis cannot bring himself to do so. It makes sense since he believes death is a full-stop, and through a series of events, he feels responsible for causing his child’s death. Even with the knowledge that his child won’t come back exactly right, he decides to do so anyway. He does this more as a way to assuage his guilt as opposed to a real desire for his child to come back. What I didn’t like about the new version is that it removes the aspect of choice. Louis never understands the consequence of his actions until the cat returns. Constantly, the film does not allow him to make the choices he desires to make. The only decision he partakes in is the one where he chooses to desecrate the grave of his child in order to bury the child in a place that will allow the child to return (this is an alarmingly repetitive sentence, but I need to sacrifice eloquence for possible spoiler territory). While some viewers might have been annoyed about the lack of revelation regarding certain mysteries, I actually liked this inclusion of secrets and unknowns in the movie. When we begin the film, the family has just moved in. This leads us to wonder a few things. Firstly, the move doesn’t seem to be for any particular reason. People move generally because of new job opportunities, or maybe they find the neighborhood/town a good place to raise children. There doesn’t seem to be any of these reasons behind the move. Louis doesn’t even know how far his property runs, which I feel is just a basic thing you should know when you buy a house. The second secret revolves around Zelda’s death. Rachel explains her death to us, and we watch it unfold, but so much is not shown that I simply can’t wrap my head around the details. It honestly feels like Rachel has suppressed the memories surrounding her sister’s death, so we get all these gaps and memory fragments. There is so much left unsaid, which is why I appreciate this subplot over the main plot of the movie. I can’t imagine how traumatizing it must be for a young girl to be alone with an invalid sister, fearing her more than loving her. The movie changed quite a few things from the original 1989 version, which fans might appreciate or detest. The trailers for the movie certainly didn’t help, since one of the major twists is glaringly present in one of them. This is why I have stopped watching trailers altogether, I cannot count on the trailer to not spoil the movie for me. The movie also got too excited about using the mist effect, where there is so much of it that I can’t really see what’s going on, leaving me to lose interest in those scenes. The Jud and Louis friendship is underdeveloped, same with the Ellie and Jud friendship as well. John Lithgow is an amazing actor, but the movie didn’t give him much to work with. There is some mention of his wife Nora, though it is too quick and passing for the viewer to find anything noteworthy in that moment. What frustrates me most about this movie is that it feels so paint by numbers. Here we have a typical family, and then something happens to subvert all sense of normalcy. The first act of the movie is so slow, leaving me more bored than horrified as I waited for the reanimation plotline to kick in. And once it does, things move too quickly. There are parts where I found myself laughing because it was so ridiculous, and this includes the ending. King’s Pet Sematary is a source material that looks closely at the process of grief and how it affects who we are and what we can become. There is such pathos in the conclusion of the book, where Louis is so blinded by grief that he continues to dabble in things he knows he should not. Instead the film took the easy way out, focusing on cheap scares rather than the true horror King was trying to illustrate in his book. Maybe this is just proof that the horrors that exist in King’s mind are just beyond translation to screen. I hope to be proven wrong though. In this case, I would advise that you save your money and watch the film in the confines of your home when it gets the DVD release. If you need to satisfy that Stephen King itch, there is Gerald’s Game on Netflix that I feel is worth the time and occupation. Life is too short to waste on mediocre horror. Thank you for reading! What are you thoughts on Pet Sematary? Comment down below! After seeing the preview and then seeing all the comments on this film, I feel like I’d rather read the book first and then watch the 1989 one, but then watch this one. I do like how they did up Church the cat after he comes back in the preview. Yeah don’t watch it in the cinema. I think the book alone should suffice hahaha. I’d say you have “Pet Semetary” pegged correctly at “aggressively mediocre.” I shall skip merrily in the direction of a different movie.